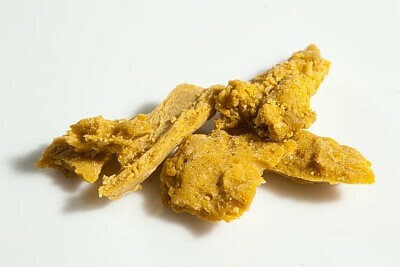 Wax is similar to shatter in that they are both are made with the same solvent and extraction process. It differs in the way the remaining gas is removed from the concentrated material. The wax consistency arises from agitating the material, and allowing it to expand as the remainder of the residuals solvents are removed.